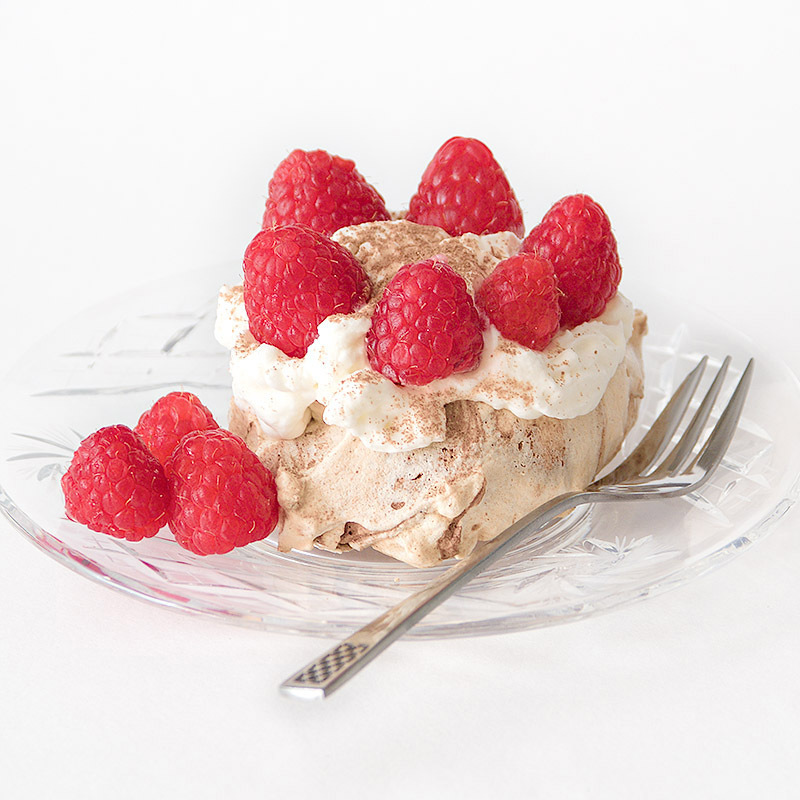 Tipsy Eton Mess – a grown-up version of Eton Mess! 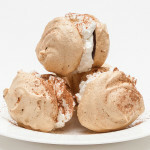 *This dish is a great way to use up any left over meringue shells. However, if making them especially for this dish, follow the recipe below and prepare them first. Whisk the egg whites until stiff. Gradually whisk in the sugar a spoonful at a time, whisking well between each addition, until stiff and glossy. Now line a baking tray/sheet with baking parchment. Dabbing a little meringue on each corner of the baking tray/sheet first will keep the lining in place. Spoon 6 mounds of meringue onto the baking paper. Bake in the centre of the oven for 1 hour 15 minutes, until the meringues shells lift easily from the paper. Turn off the oven but leave the meringue shells inside for a further 2 hours to dry out completely. You will only need four of them for this recipe. Wash, pat dry and hull the strawberries. Halve or quarter them so they are all of a similar size. Place them in a large bowl, sprinkle over the sugar and drizzle with the Grand Marnier. Then mix gently and leave for 30 minutes at room temperature. Now in a separate bowl, break the meringue shells into bite-sized pieces. Next whip the cream in a large bowl until it forms soft peaks. It should still fall from a spoon. Put 20 strawberry halves and about a quarter of the broken meringue pieces to one side for decoration. Then gently fold the rest of the meringue into the cream and, just using a few strokes, fold in the strawberries and their juice. 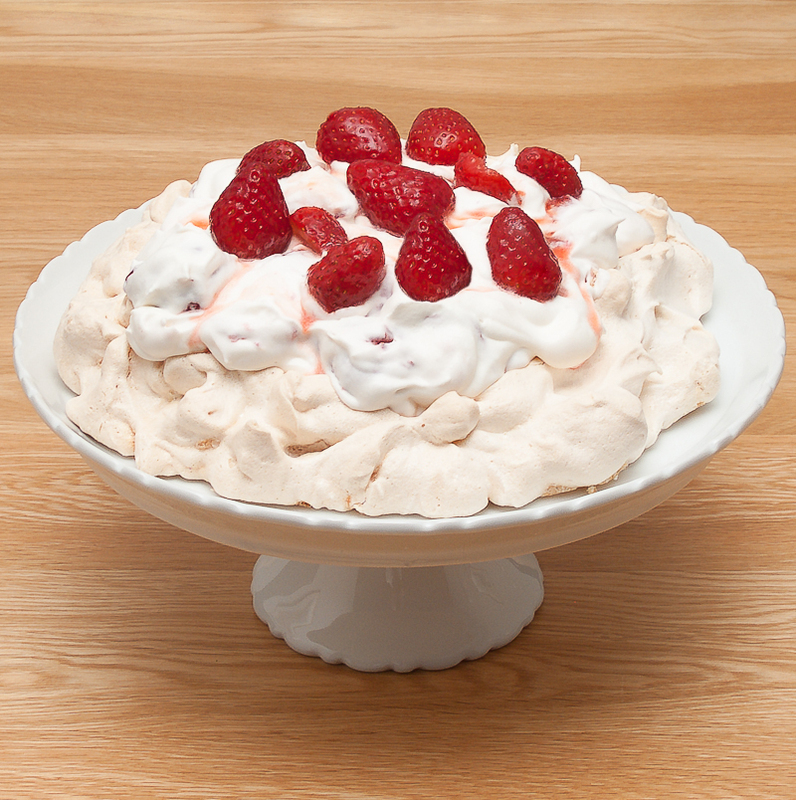 Divide between the glass dishes and top each dish with an equal quantity of the reserved strawberry halves and meringue. These light pastry buns filled with strawberries and cream are a delight. Another perfect way to use fresh strawberries in the summer. Preheat the oven to 220°C (425°F) (gas 7). First, sift the flour onto a piece of kitchen paper or parchment paper. Now measure the butter into a small heavy-based pan and add 150ml (5 fl oz) (⅔ cup) of cold water. Melt the butter over a medium heat and then bring the mixture quickly to the boil. Immediately remove from the heat and tip in the flour, stirring vigorously with a wooden spoon to combine. Now cook this over a low heat for 3–5 minutes, stirring constantly. The mixture will form a soft ball. Remove from the heat, transfer the mixture to a mixing bowl, and leave to cool slightly, about 3 minutes. Pipe or spoon eight mounds onto the lined tray, spacing well apart. Bake in the centre of the oven for 10 minutes, then reduce the temperature to 190°C (375°F) (gas 5) and cook for a further 15–20 minutes. The buns should be a lovely golden brown. Remove from the oven and pierce a small slit into each choux bun, using a small sharp knife, to allow the steam to escape. Return them to the oven for 4–5 minutes for the centres to dry out. Remove from the oven and transfer to a wire rack to cool. 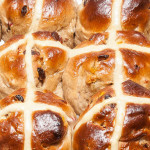 Then halve each bun, cutting at an angle, and remove any uncooked pastry. They are now ready to be filled. 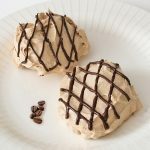 Whip the cream, sugar, and vanilla extract together until soft peaks form. Wash, hull and thickly slice the strawberries. Pat dry and then gently fold into the cream. 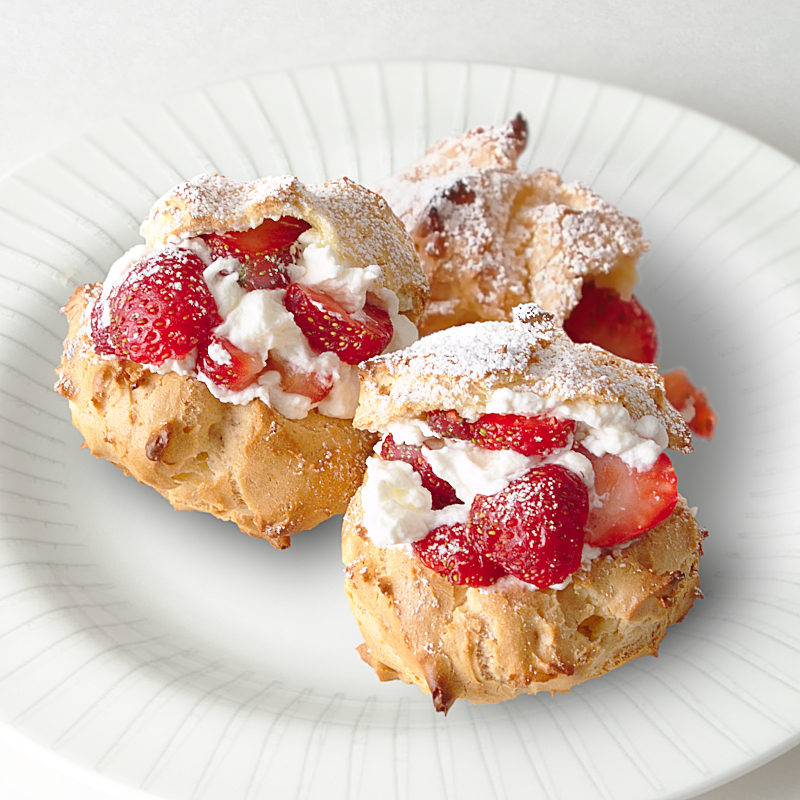 Remove the tops of the choux buns and fill them with the strawberries and cream. Put their tops back and then dust over with the icing/powdered sugar, using a small sieve. These are best eaten within a few hours. Once filled with the cream mixture, the pastry will tend to soften. 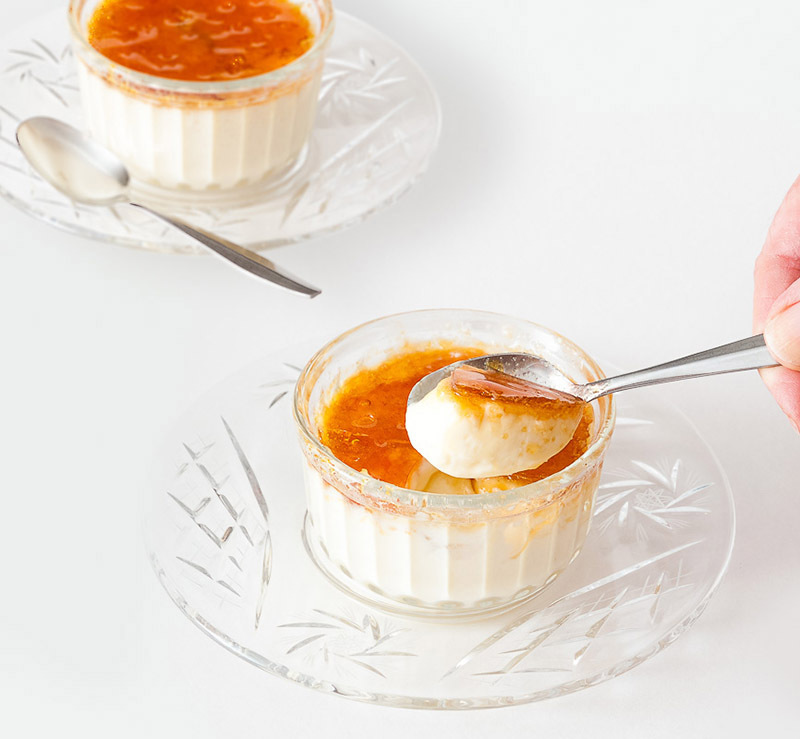 These crème brûlées are so creamy they make just the perfect dessert. Egg yolks, sugar and cream flavoured with vanilla make the creamy custard, and it’s topped with brittle caramel. I have shared two methods for creating the caramelized topping, one using a chef’s blowtorch and the other using the grill/broiler. Lightly grease ramekins with butter and put to one side. Boil a kettle of water. Meanwhile, line a deep-sided ovenproof dish or small roasting tin/pan with a layer of kitchen paper and sit the six ramekins on the paper (the paper prevents the ramekins from slipping). Next pour both creams into a pan and heat until scalding. Remove from the heat and cool a little. While the cream is cooling, put the egg yolks, sugar, and vanilla extract into a large bowl and whisk to combine. Carefully pour enough of the boiling water into the ovenproof dish or roasting tin/pan to come halfway up the sides of the ramekins. Now take the ramekin dishes out of the water, cover them and refrigerate for at least 6 hours or overnight. Sprinkle 2–3 teaspoons of sugar evenly over the custard in each ramekin. The sugar needs to cover the custard completely. First, have a piece of parchment paper ready on the counter top. Next, put the sugar in a stainless steel pan and add just enough water to dampen the sugar. Place over a low heat and stir the sugar until completely dissolved. Then increase the heat to medium–high. Without stirring, leave the sugar to bubble fiercely. When the bubbling lessens and the sugar has turned a pale straw colour, it will be ready. Carefully, pour the caramel onto the paper (it will be extremely hot) and leave it to become cold. Now turn on the grill/broiler to high and leave for 5 minutes to become really hot. Put the ramekins on a baking tray and place under the heat source as close as possible. Cook for less than a minute, not letting the sugar burn. The heat just needs to melt the sugar. Summer has now arrived and we can look forward to a few months of hot sunny weather. This is certainly my time of year and I have just made one of my favourite desserts – creamy iced lemon pots. I tend to make them for the summer because they are very refreshing and very creamy. Very easy to make too. 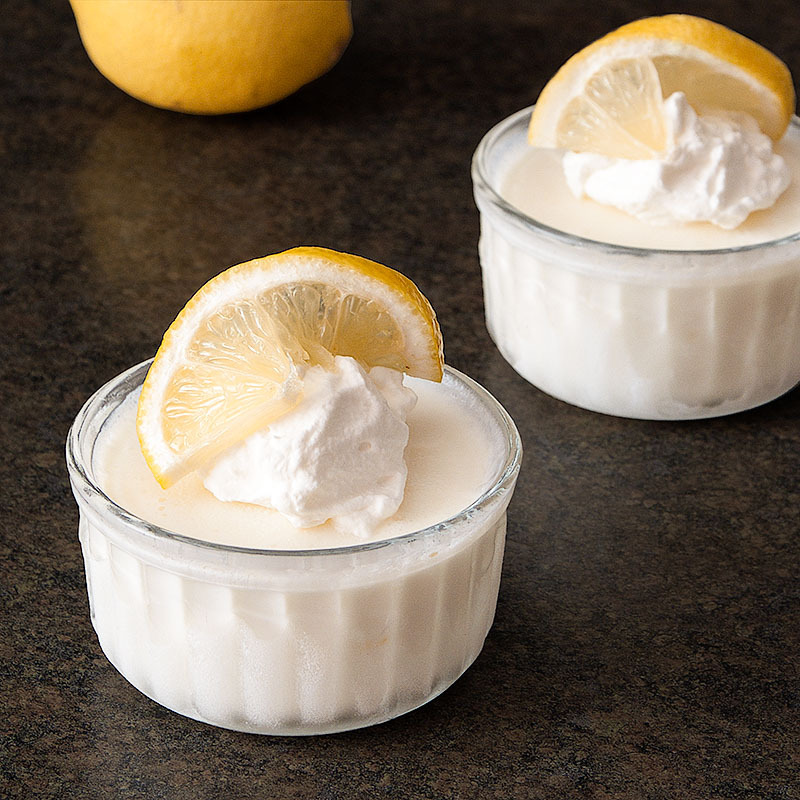 Four ingredients – cream, milk, the zest and juice of 2 lemons, and sugar. Basically, it is all mixed together and frozen. I make up a batch which will fill 8 glass ramekin dishes and, because they are frozen, you can just take as many out of the freezer as you need at a time. They are a great little standby when you want something quick for a dessert. Perfect for a hot summer’s day. These little pots are so refreshing and so creamy. Very easy to make. Basically mixing together cream, milk, the zest and juice of two lemons and sugar then freezing. 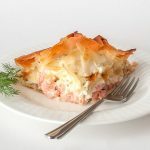 This recipe makes 8 pots so you can take as many out of the freezer as you need and leave the rest for another day – a super little standby. 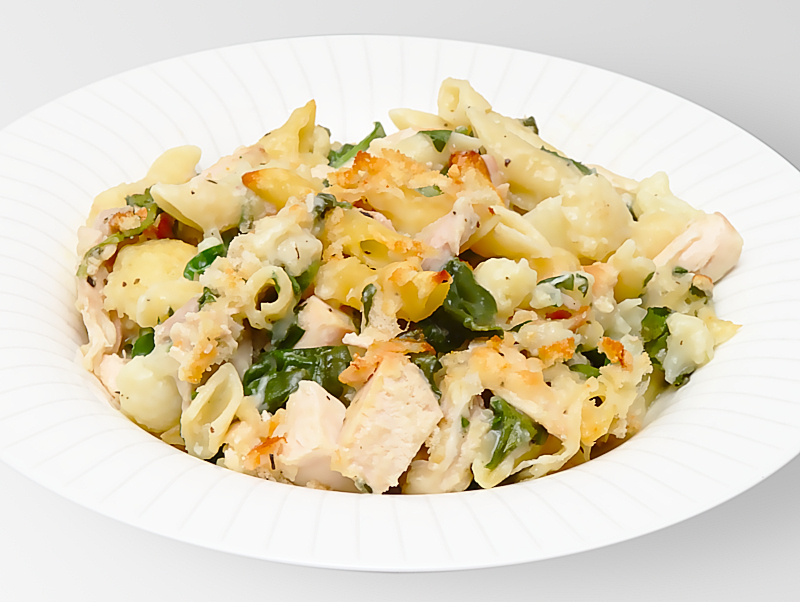 You will also need a 1.5 litre (2½ pint) plastic container with lid and 8 glass ramekin dishes. Whisk the cream in a large bowl until it forms soft peaks. Zest the lemons and add to the cream. Now squeeze out the juice (they should yield 6 tablespoons of juice) and add to the cream along with the sugar and milk. Whisk on the lowest setting until thoroughly mixed and then pour into the plastic container, cover with the lid and freeze for at least six hours until firm. 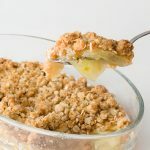 The mixture will now have begun to freeze, so break it up into chunks, put in a blender and then liquidize until smooth and creamy. Pour into the ramekin dishes, cover them and freeze overnight. Before serving, remove the ramekin dishes to thaw for 10 minutes. Meanwhile whip the cream and then put a small spoonful on the top of each lemon pot. Cut four thin slices from the remaining lemon and cut these into two. Twist each piece and place on top of the cream for decoration. These will keep in the freezer for up to a month. 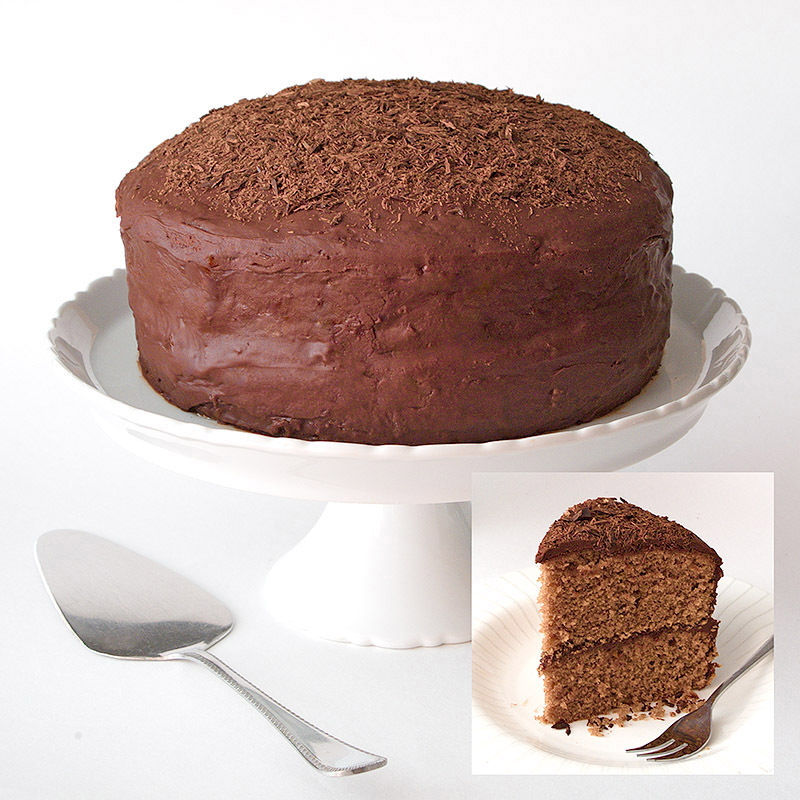 Just remove from the freezer for the 10 minutes while preparing the decoration. 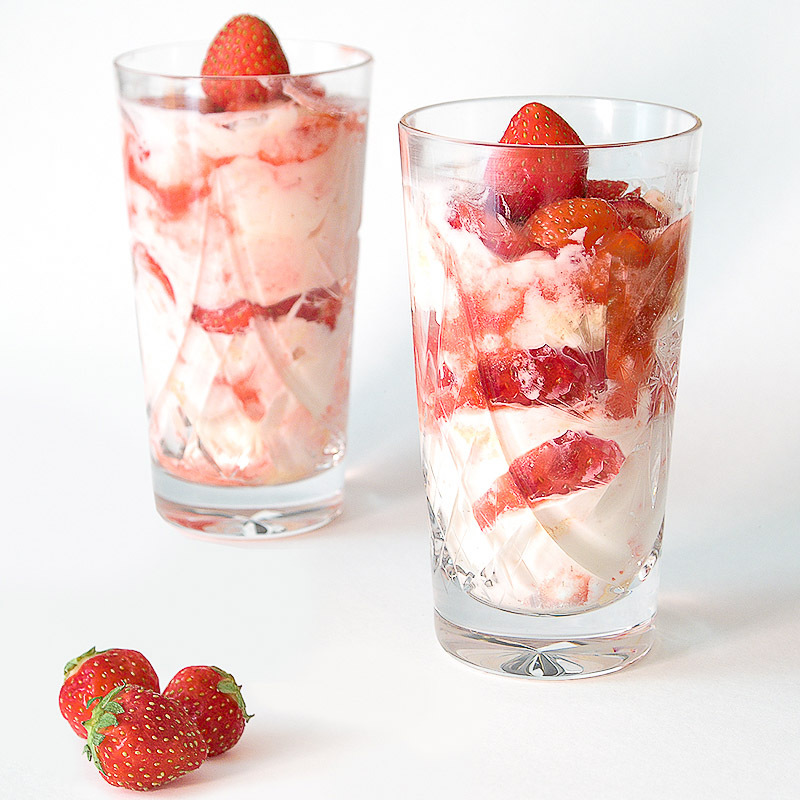 This is a lovely light dessert and another way to enjoy strawberries now they are at the height of their season. 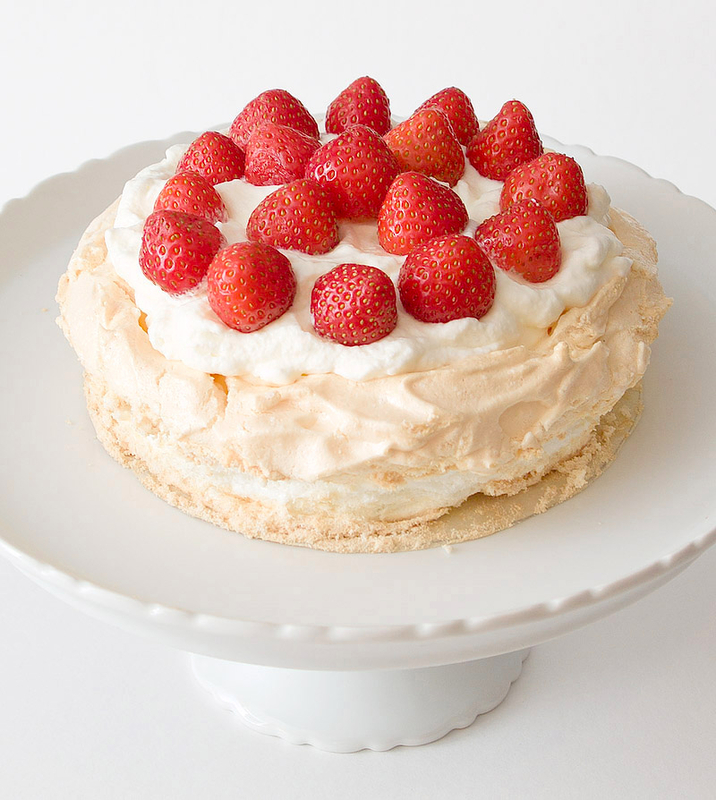 The base is a soft meringue nest which is filled with a lemon cream custard, topped with whipped cream and decorated with delicious strawberries. You will also need a 23cm (9 inch) round glass dish. Whip the egg whites until stiff. 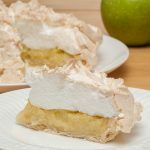 Sprinkle over the cream of tartar then gradually add the sugar a spoonful at a time, whisking well between each addition, until the meringue is smooth and glossy. Very lightly grease the glass dish then spoon in the meringue making a nest about 2.5cm (1 inch) deep with a rim about 5cm (2 inches) deep. Bake for 1 hour 15 minutes and then leave to cool. Zest half the lemon and squeeze the juice from the whole lemon and set to one side. Beat the egg yolks and sugar together in a glass bowl sitting over a pan of just simmering water. (Make sure the bowl doesn’t touch the water.) Stir in the lemon juice and zest. Continue to cook for about 10 minutes or until the sauce has thickened, stirring frequently. Remove the bowl from the pan and leave to cool. Now, whip the cream until soft peaks just start to form (you don’t want it to become stiff). Then fold into the cooled lemon sauce until incorporated. Pour into the meringue nest, level the top, and chill for 2 hours. 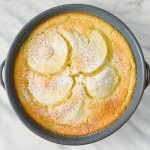 Whip the cream and sugar together until stiff and spread over the lemon filling. Decorate with the strawberries. If they are small, leave them whole but if they are large, slice them. The selection of carrots, red pepper, and green beans make this a very colourful dish. 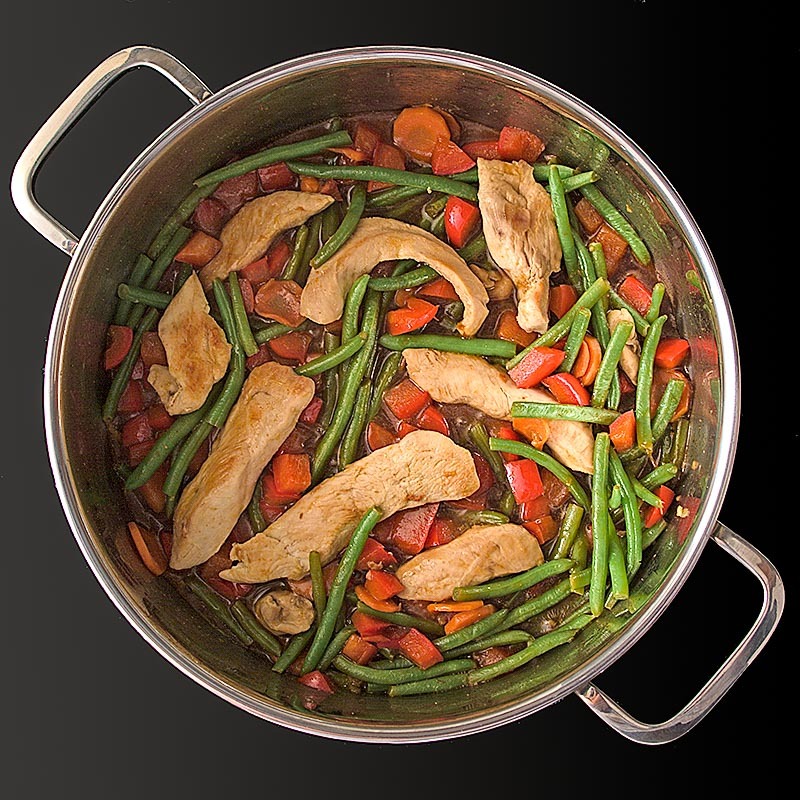 The vegetables are quickly sautéed and served with sautéed strips of chicken in a lovely sauce. First make the sauce by combining all the ingredients together using a whisk. Set aside. Now heat the oil in a deep sided frying pan/skillet or wok and add the chicken strips and garlic. Stir fry over a medium heat until brown, about 5 minutes. Add the carrots and stir fry for a further 4 minutes, stirring the contents of the pan a few times during cooking. Next add the pepper and ginger and stir fry for another 3 minutes, again stirring a few times during cooking. Stir in the green beans, snapping any large ones in half, and also stir in the sauce. Cook until the sauce has thickened and the vegetables are tender crisp. Oh, no! What do you do when you realise you are out of BBQ sauce and there is no time to go to the grocery store. Well here is a good substitute that is very easy to put together. 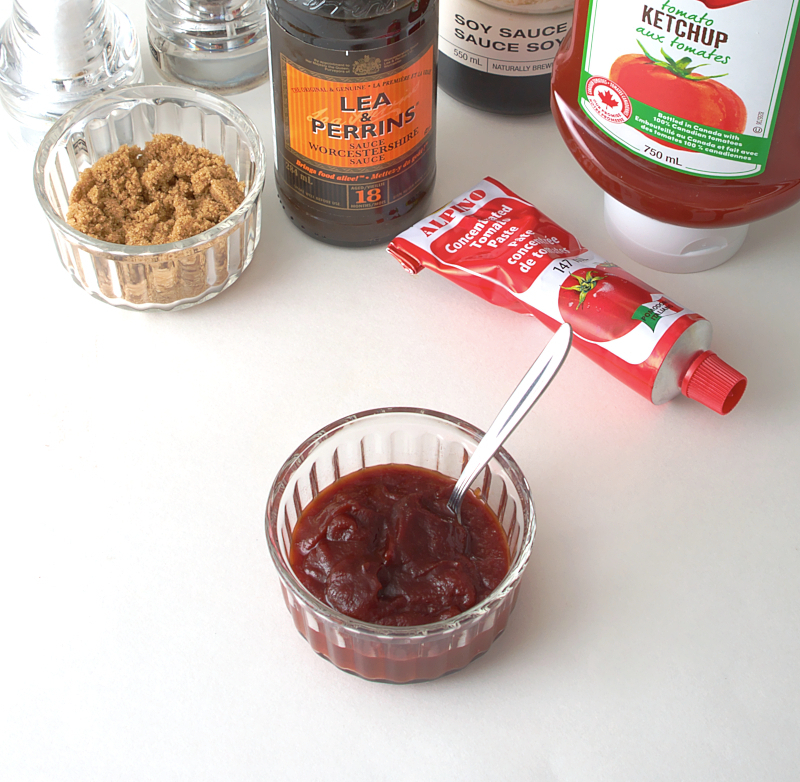 Put the ketchup into a small pan and add the soy sauce, sugar, and tomato purée/paste. Now add a dash of Worcestershire sauce and season. Stir everything together then bring to the boil and let it bubble for a few minutes, stirring occasionally. A firm favourite with children of all ages. 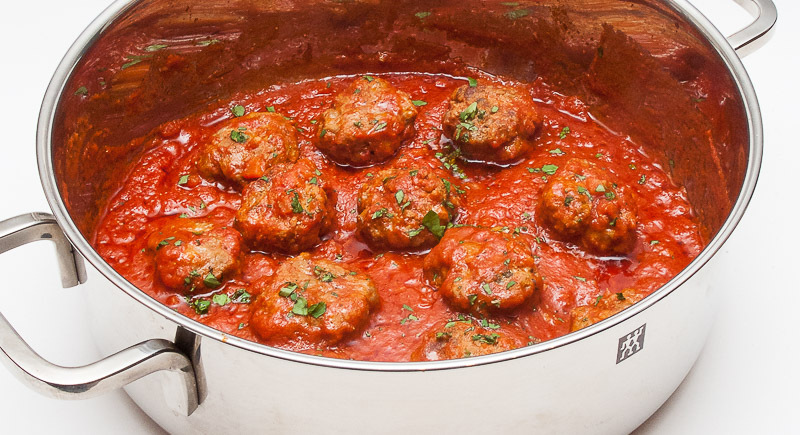 These lamb meatballs flavoured with oregano and Parmesan cheese are cooked in a passata based sauce. Usually served with spaghetti but any pasta you choose will work. You will also need large sauté pan with lid and a large frying pan/skillet. 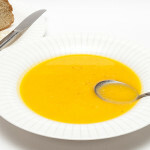 Heat the butter and a tablespoon of olive oil in a small pan and, when hot, add the onion and stir to coat. 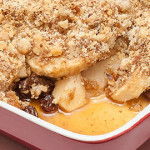 Sprinkle with salt and cook over a low heat for about 10 minutes until softened but not browned, stirring occasionally. Remove to a plate lined with kitchen paper to absorb any excess fat and leave to cool. Now remove the crusts from the bread and tear into pieces. Put the bread in a shallow dish and cover with the milk. Next for the tomato sauce, put the carrot, celery, and garlic in a food processor and blitz. Put the butter and oil into the sauté pan and, when hot, add the vegetables and stir to coat. Cook over a medium–low heat until soft, about 10 minutes, stirring occasionally. Then stir in the passata and add the bay leaves and seasoning. Cover and gently simmer for 20 minutes. Meanwhile prepare the meatballs. Put the lamb in a large bowl. Squeeze the milk from the bread and discard adding the bread to the lamb. Put half the parsley on a chopping board, sprinkle over the dried oregano and chop the parsley finely. (This will activate the oregano.) Now add the herbs to the lamb with the egg, Parmesan, cooled onion, and some pepper. Mix together until well combined. Make into 20–24 meatballs, flattening them slightly, and place them on a baking tray lined with clingfilm/cling wrap. Refrigerate for 20 minutes to firm up. When the tomato sauce has cooked for the 20 minutes, stir in the milk and continue to cook gently, uncovered, for a further 10 minutes. Season to taste. Once the meatballs have firmed up, put two tablespoons of oil into a large frying pan and brown the meatballs all over, about 5 minutes. Remove them with a slotted spoon and add to the sauce. Cover and cook for a further 20–30 minutes, until the meatballs are cooked through. Chop the remaining parsley and, just before serving, sprinkle over the meatballs.